South Korean golfer Lee Mi-hyang, the latest LPGA Tour winner, soared to a season-high No. 33 in the women's world rankings released Tuesday. Lee jumped 16 spots from the previous week, thanks to her come-from-behind victory at the Aberdeen Asset Management Ladies Scottish Open. The 24-year-old rallied from six shots down at the start of the final round to capture her second career LPGA win. This was the largest final round comeback on the tour this year. 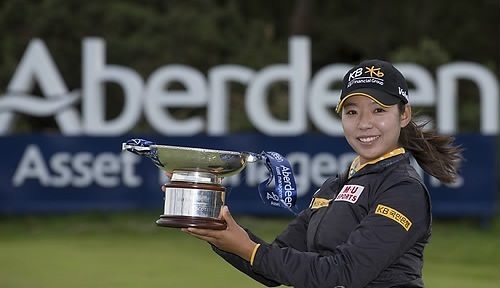 Lee is the third consecutive South Korean champion in the LPGA and also the ninth different winner from the country this year through 21 tournaments.